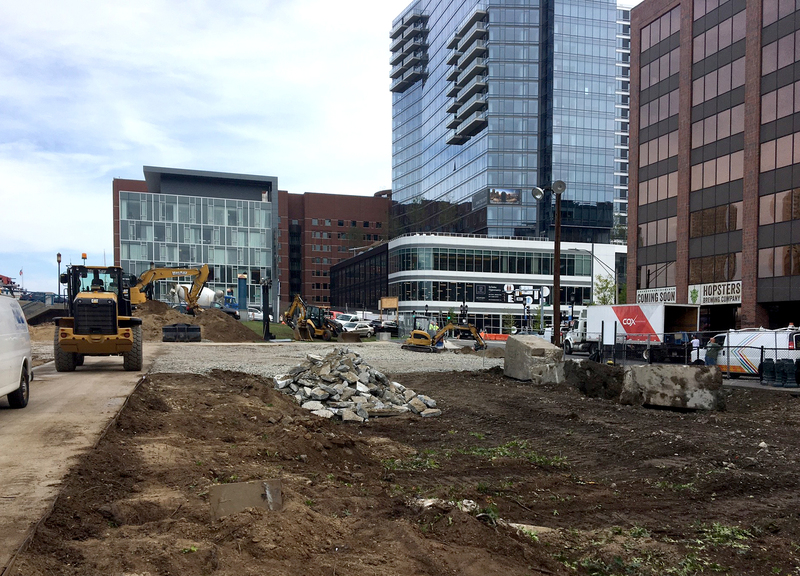 Utile is supporting landscape architecture firm Michael Van Valkenburgh Associates, Inc. (MVVA) on the design of Martin’s Park, an inclusive play area and waterfront park located next to the Boston Children’s Museum overlooking Fort Point Channel. The park is dedicated to Martin Richard, the youngest victim of the Boston Marathon bombings in 2013, and is designed to accommodate children of all abilities and backgrounds. Utile is designing a new covered parking structure which will screen the cars of the Boston Children’s Museum employees, while providing expanded park space and expansive views from its roof. The project officially broke ground on August 16, 2017 with inspiring words from both Boston Mayor Martin Walsh and Massachusetts Governor Charlie Baker. The project is now fully under construction.